Sunday was a magnificent day for many reasons. 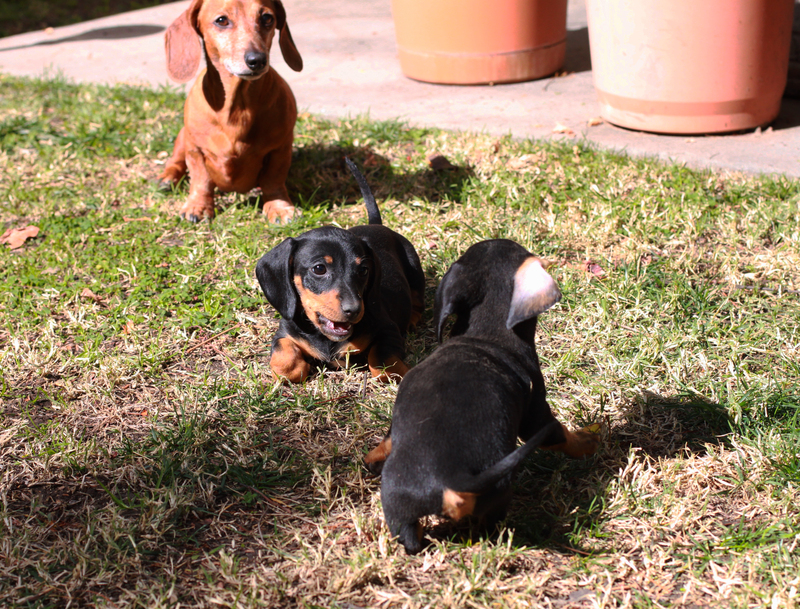 One, we formally adopted Emily Sue from Dachshund Rescue & Placement, the adorable smooth black and tan 9-week-old pup. Second, Emily got a chance to roughhouse with her sister this afternoon; which was the first time they have seen each other in 7 days. Lastly but not least, Emily’s sister was also adopted and named today. Her name is going to be Myfawnwy. It’s Welsh. All four puppies from Emily’s liter have now been officially adopted. What a superb day indeed. 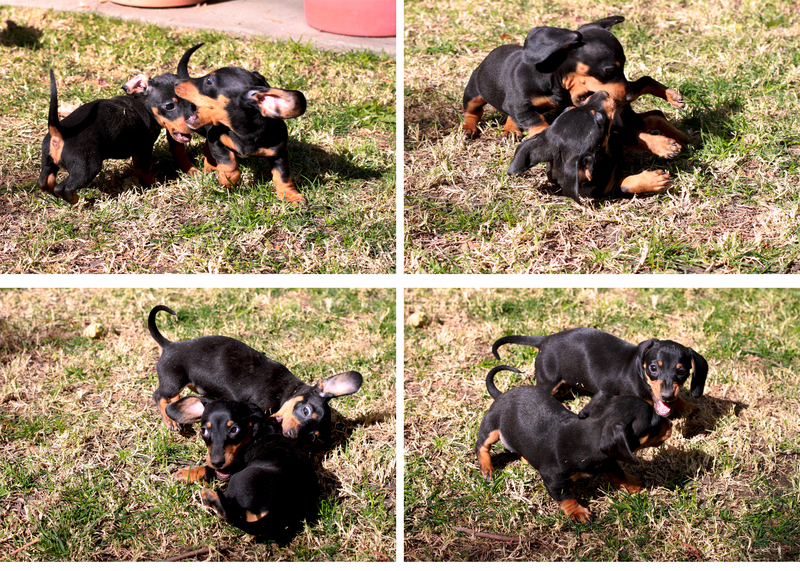 This entry was posted in Emily, Rescue and tagged #dachshund, #dachshund #dachshund puppy #adoption. Bookmark the permalink.